What if discovering who you really are means letting go of who you've been? Toni and Gretchen are the couple everyone envied in high school. They've been together forever. They never fight. They're hopelessly in love. When they separate for their first year at college they're sure their relationship will stay rock solid. The reality of being apart, however, is very different. 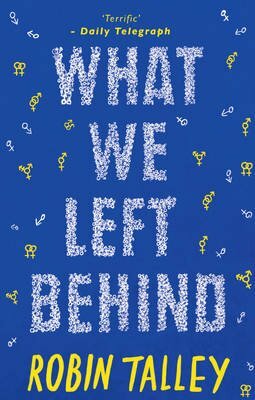 Toni's discovering a new world – and a new gender identity – but Gretchen struggles to remember who she is outside of their relationship. While Toni worries that Gretchen won’t understand Toni's shifting identity, Gretchen begins to wonder where she fits in this puzzle. Now they must decide if their love is strong enough to last. A powerful new novel from the acclaimed author of Lies We Tell Ourselves.